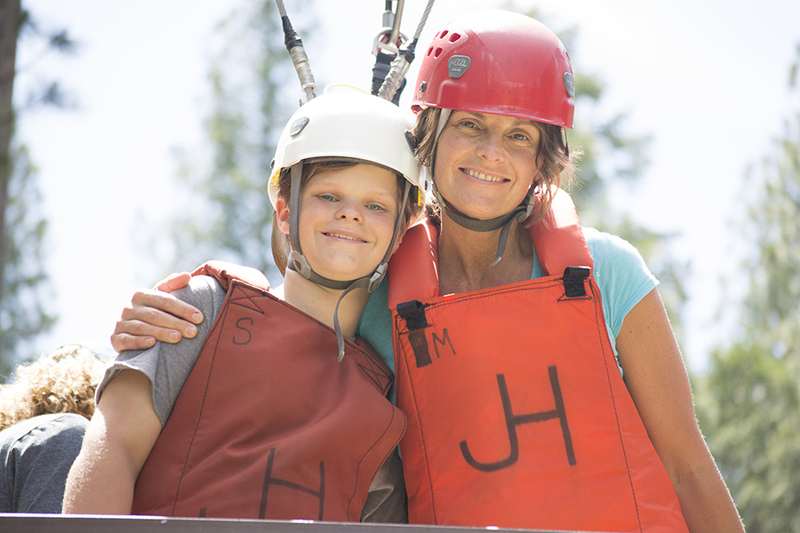 Throughout all of the whitewater rafting, wilderness hiking, and ropes course climbing, you will discover during your week at JH how strong a bond between parents and teens can become as you experience new challenges and adventures together. 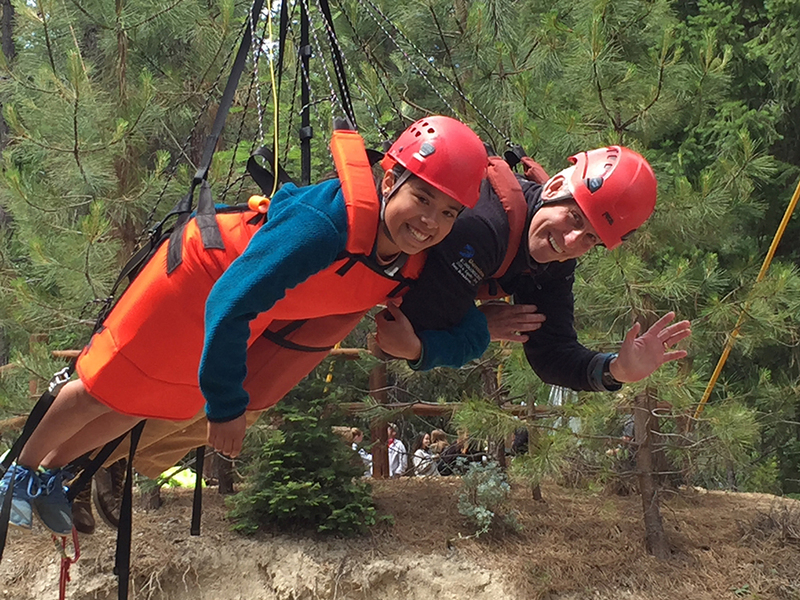 See how sharing a ropes course, a raft, and a trail, makes it is easier to share your hopes, fears, and dreams. 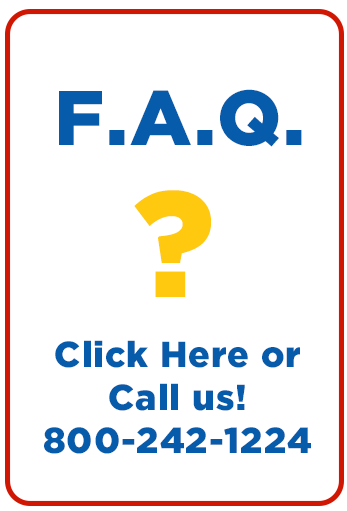 All you have to do is sit back, enjoy the scenery, and trust us to take you on the guided experience of a lifetime. 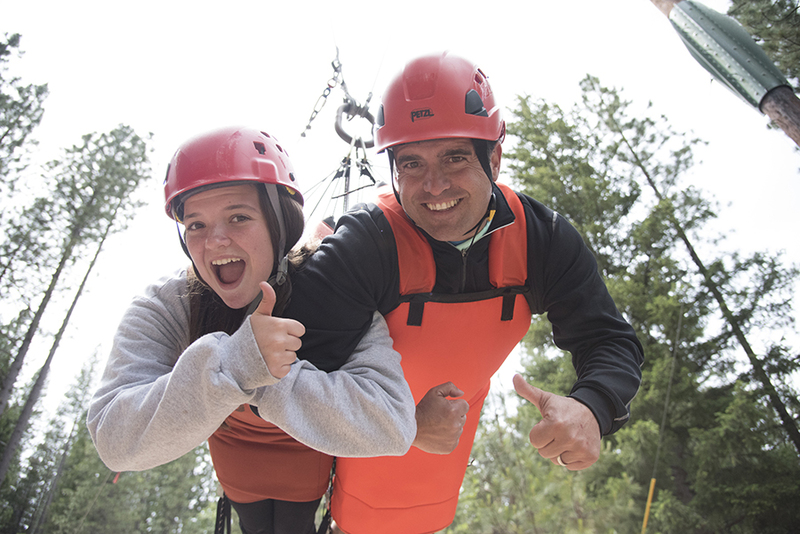 Other Highlights: Rodeo Games, Lake Activities, Ropes Courses, Whitewater Rafting, Day Hikes, Mountain Biking, Horseback Riding, Zip Lines, Climbing Wall, and so much more! Every day, you will enjoy delicious meals created by the great Chef Bob, while sitting with your team in the gorgeous, open-air dining pavilion. With a wide range of options throughout the week, you’ll savor biscuits and grits at the rodeo, a barbecue picnic on the lake lawn, and everything from pita sandwiches and quinoa salads to home-style selections complete with signature peppercorn or mushrooms sauces. Oh, and don’t forget the full coffee bar in the morning, the appetizers in the afternoon, evening desserts for the dads and mom, and a snack bar full of milkshakes and hot nachos for the kids. You won’t go hungry and you might not want to leave. 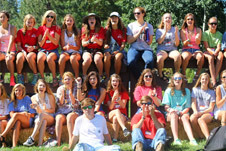 The first morning you wake up it’ll be off to the rodeo and the beginning of a week filled with fun, laughter, and adventure. 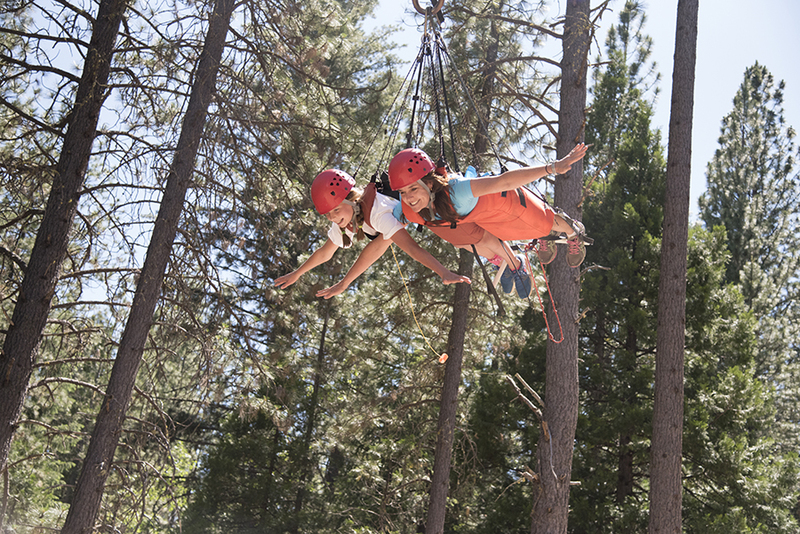 You’ll be invited to jump in and participate in a variety of activities from three-legged races to a lake zip-line to jumping off of a 50-foot telephone pole. And that’s just day one! The rest of the week you will travel with your team from event to event. 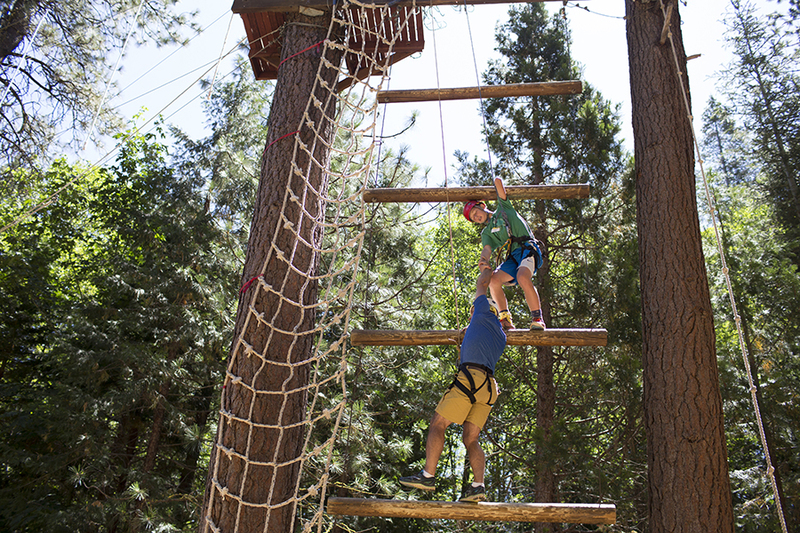 Two of your days will be spent traversing ropes courses like our Alpine Tower, Odyssey, and High Ropes adventures – and of course the 100 foot super swing named the Screaming Eagle. 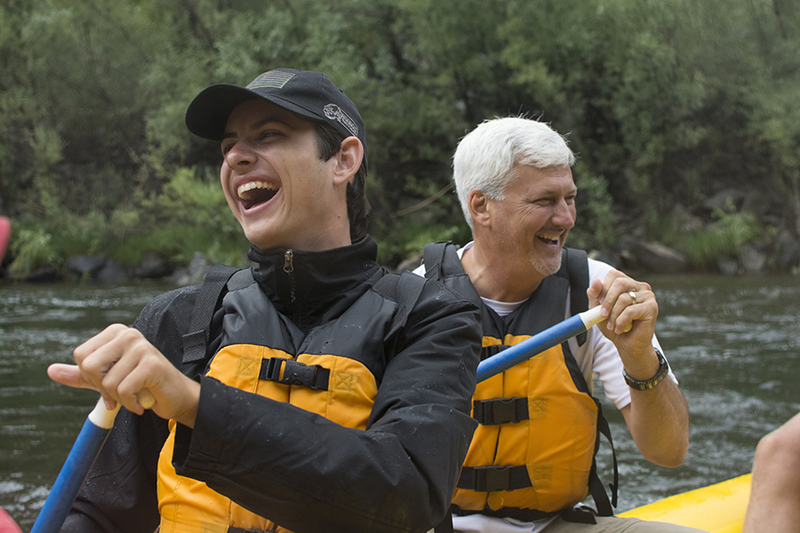 One activity day will be spent either hiking the backcountry or exploring a local waterfall, and then every team will enjoy a day whitewater rafting the Klamath River, where you might get to see a bald eagle swooping down or a black bear sitting on the bank. 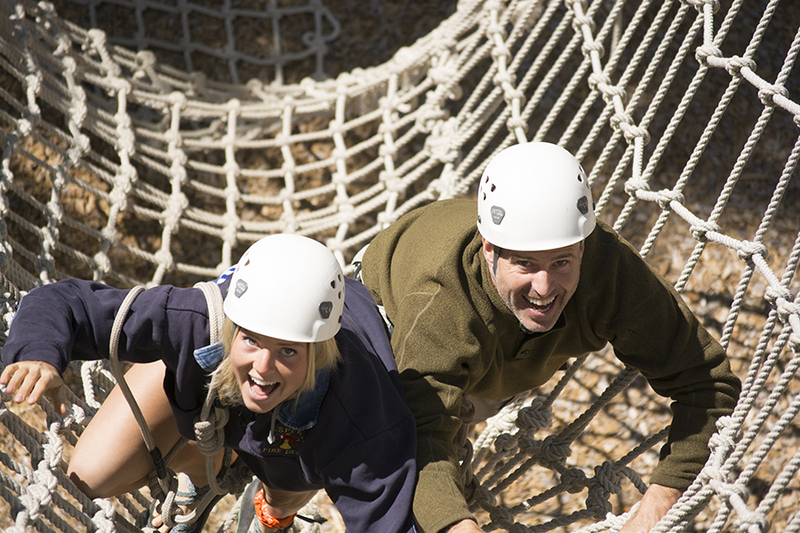 At the end of it all, the winning team of our points competition will get a special ice cream party while everyone gets to enjoy the famous Week-At-A-Peak highlight video of the activities and adventures you just conquered. 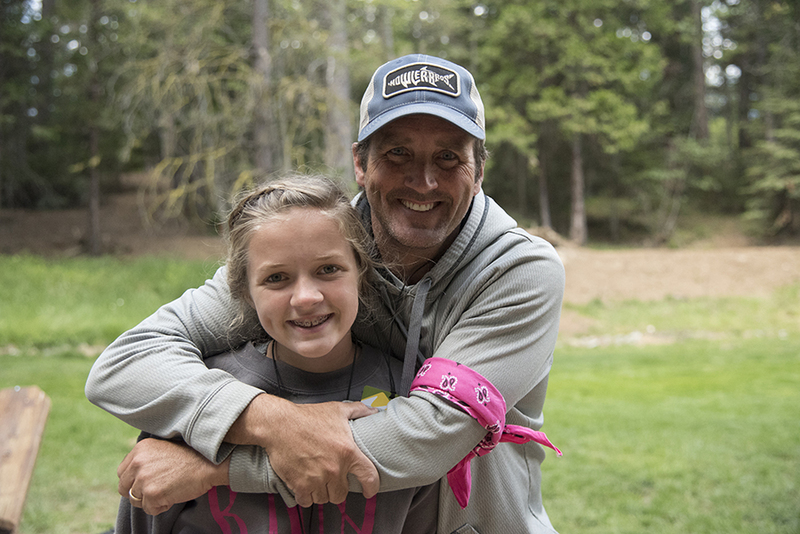 JH Ranch is not your typical summer camp. 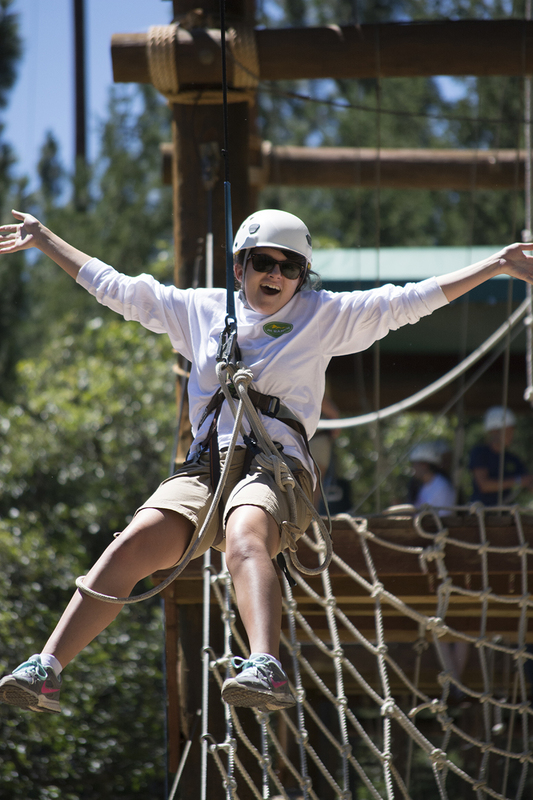 More than a vacation, you’ll be experiencing a program that is adventure-based and content-driven. 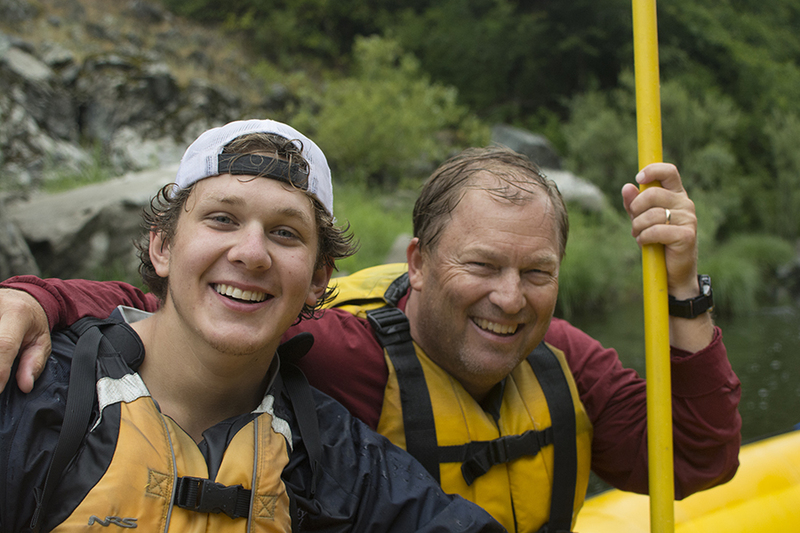 Utilizing the power of experiential learning, you and your teen will learn biblical life principles and skills through short teachings and challenges of practical application. 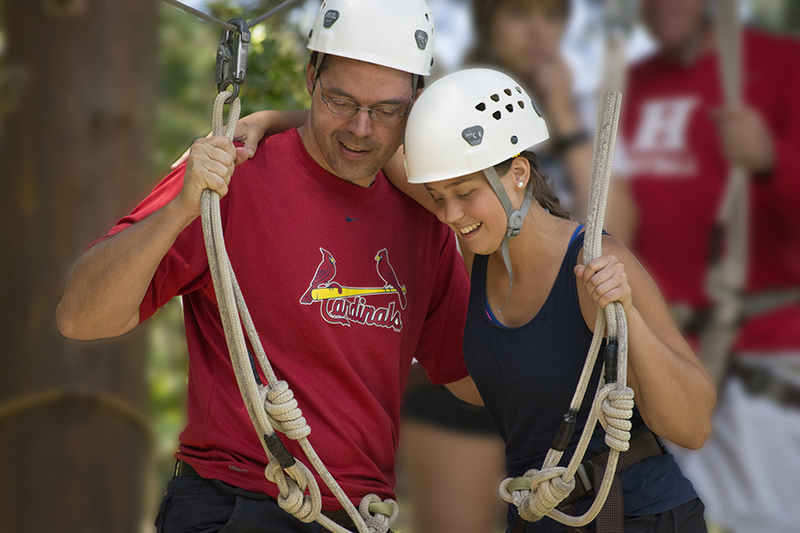 Every ropes course or event has something to teach about about teamwork, leadership, communication, and more; and each evening you’ll head down to the big circus tent we call the Big Top for some laughter and a thought-provoking Big Top Talk, including talks on: Your Life Purpose The Love of God The Abiding Journey The Parent Talk How To Rate A Date and Choose A Mate (“Dating”) Highlights and Wrap-Up Parents, you’ll also get to hear the Journey of Transition talks each afternoon while enjoying gourmet hors d’oeuvres out by the lake. 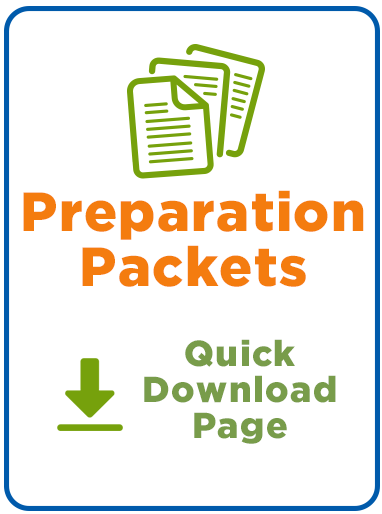 These teachings will help give you a framework for raising your son or daughter through the many transitions from adolescence to adulthood. 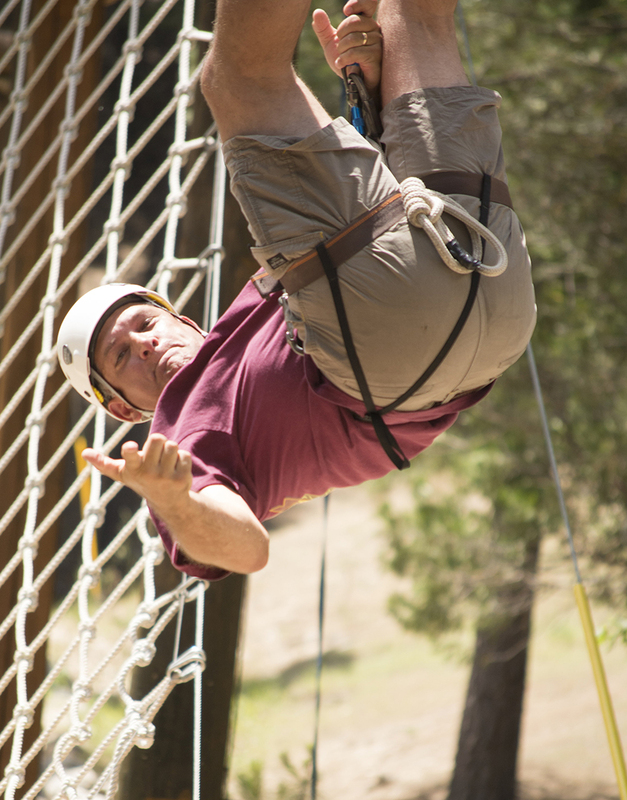 JH Ranch is perfectly located for the adventure you are looking for. 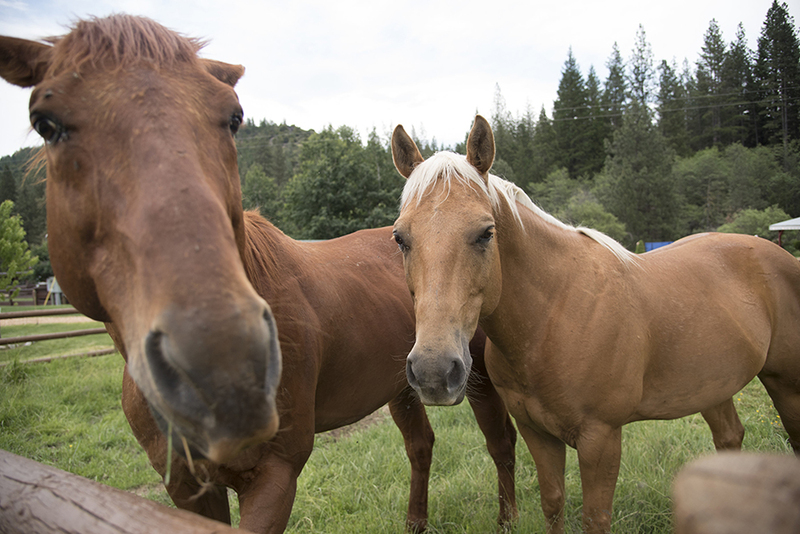 Spread over nearly 1000 remote acres, the Ranch is found fourteen miles outside of the town of Etna, CA, population 560. 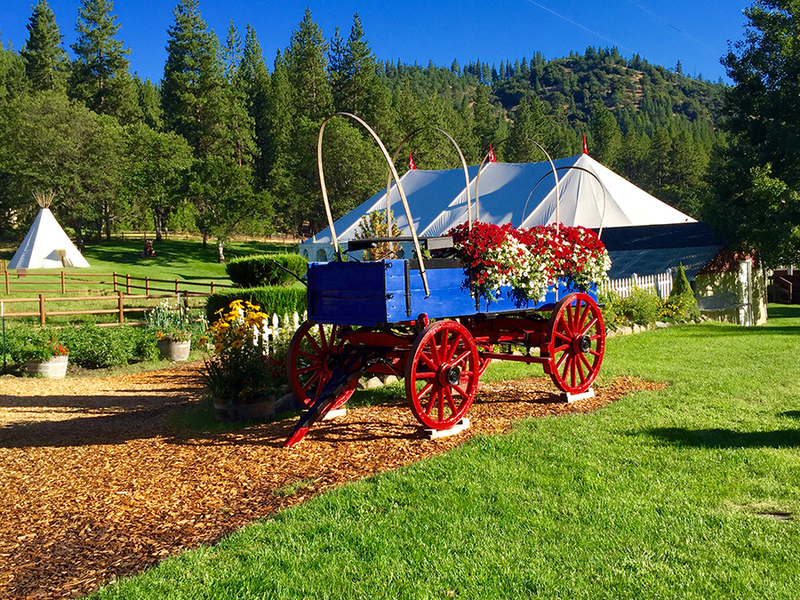 The Ranch is in the mountains and most summers, you’ll be able to look up and see snow still covering the peaks. We are bordered by the Russian Wilderness, and when weather permits, you’ll get to hike into the back-country to visit an alpine lake just off the rugged Pacific Crest Trail. 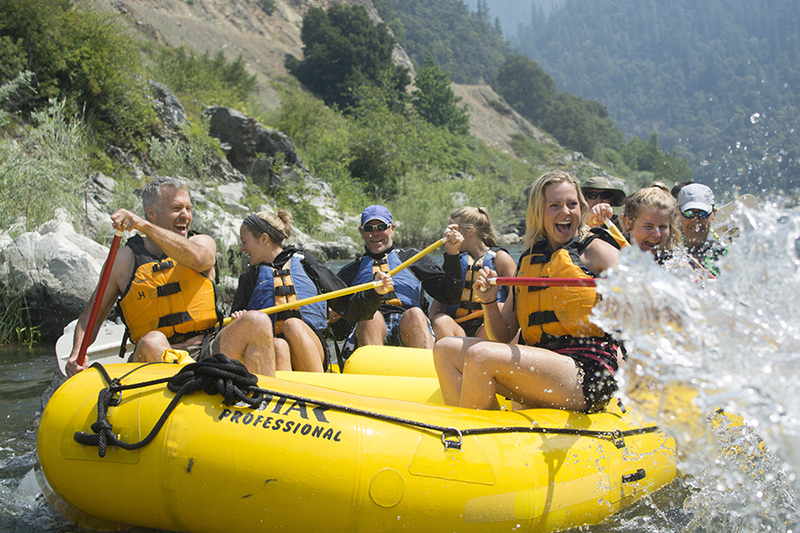 Every day will be spent largely outside enjoying the sun, shade, and fresh mountain air, and the only day you’ll need to drive is your river rafting day. All in all, you’ll find that the Ranch is one of those idyllic places where it’s easy to forget what a traffic jam even is.